Marvel has released the first trailer for Avengers: Black Panther’s Quest, a spinoff cartoon series revolving around the popular hero. 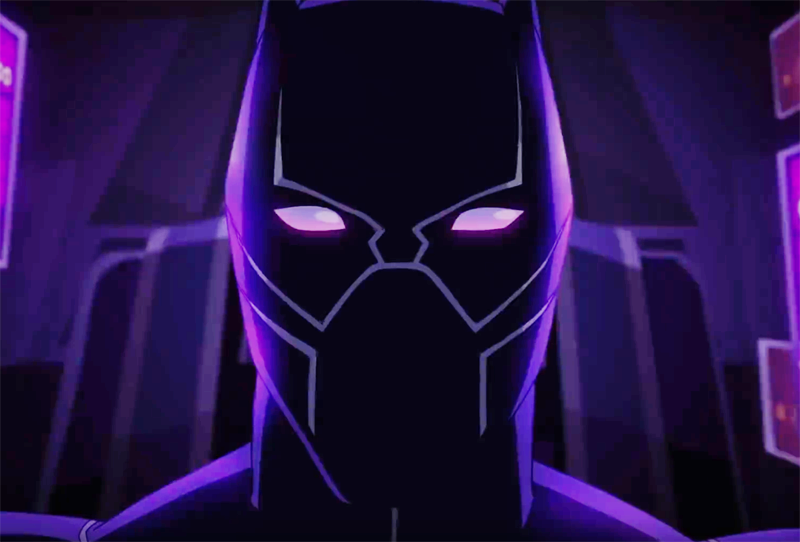 Check out the Avengers: Black Panther’s Quest trailer below, and check out the series when it premieres on Disney XD on September 23 at at 9pm ET! Played by Chadwick Boseman in the Marvel Cinematic Universe movies, the titular hero is voiced in this new series by James Mathis III, who has been voicing Black Panther/T’Challa since 2010 in shows such as The Avengers: Earth’s Mightiest Heroes and Avengers Assemble. The global cultural phenomenon of the Black Panther movie dominated the 2018 box office charts, emerging as the #1 film of the year domestically (besting Avengers: Infinity War) and the third biggest domestic grosser of all time with over $700 million – the first film in eight years to spend five weeks at No. 1 – and rising to the global top 10 of all time with over $1.3 billion. Reminding people, especially those within the Academy, of the importance and global impact of the film will be the key ingredient to Black Panther‘s Oscar success. Get your own copy of Black Panther on Blu-ray by clicking here!